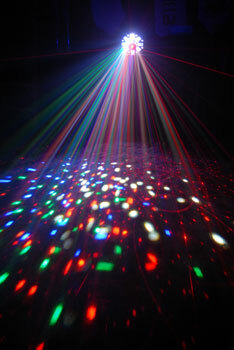 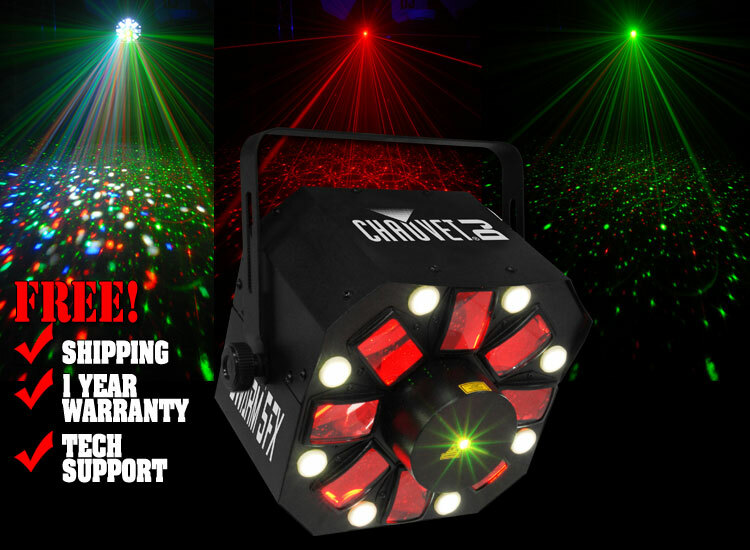 For movement and colorful effects at any event, Swarm™ 5 FX is a 3-in-1 LED effect light that combines red and green lasers, white strobe effects and RGBAW rotating derby effects into one fixture. Match the look of any event by creating customized looks and effects with separate color and program control. 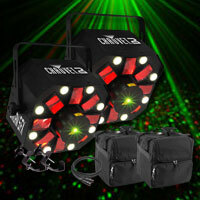 Increase control options using built-in automated and sound-activated programs or master/slave and DMX mode. 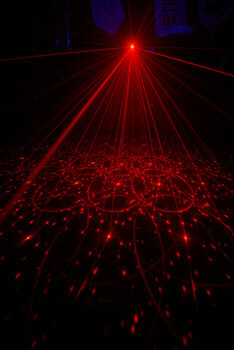 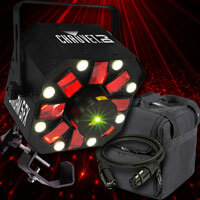 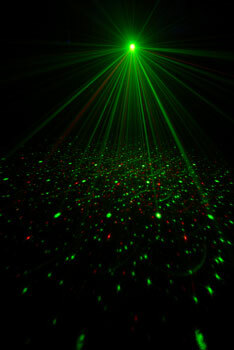 Create a synchronized light show and save time running cables and extension cords by powerlinking multiple units. 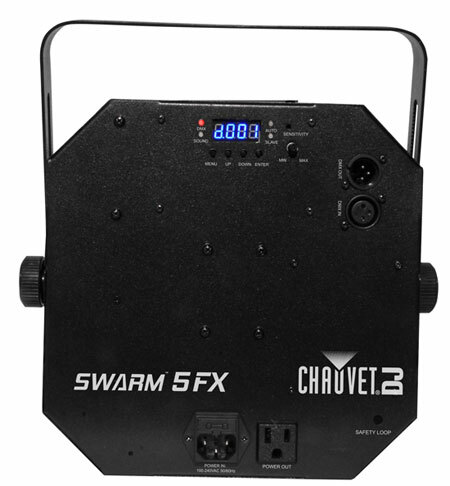 To simplify storage and transport, Swarm™ 5 FX fits best inside the CHS-4- VIP Gear Bag.